Author Anne Tucker Roberts spent nearly 20 years teaching adolescents with developmental delays. Anne thought she understood Down’s syndrome until she learned the extraordinary backstory of one remarkable student. After his birth, his parents were urged to institutionalize him. Instead – they took him home. It is this mom’s astonishing story of creativity and perseverance that needed to be told. In all, five remarkable women share how they navigated the world of unknowns with challenging fits and starts. 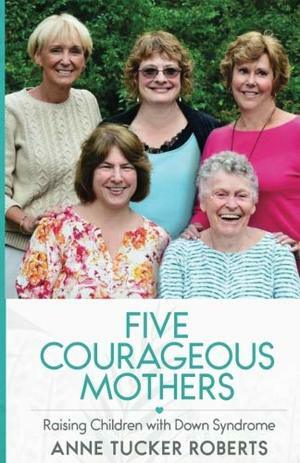 These women are the courageous pioneers for the educational and vocational programs that are in place today, and where children and young adults with Down syndrome now thrive. They are the quiet heroes in neighborhoods like yours and mine. They didn’t carry on about SAT scores or dresses for the prom. They weren’t worried about their teen drinking and driving – but about them thriving. Meet Hazel, Connie, Lisa Ann and Jane. Their stories of tenacity and love inspire even the bravest of us.